You may recall Josh gushing about tslime on Episode 0.7.3. While tslime makes it easy to send input from Vim to a tmux session, Ben Mills wanted a bit more, so he created Vimux. Vimux gives you a tmux pane in which to execute commands, all without losing focus in vim. 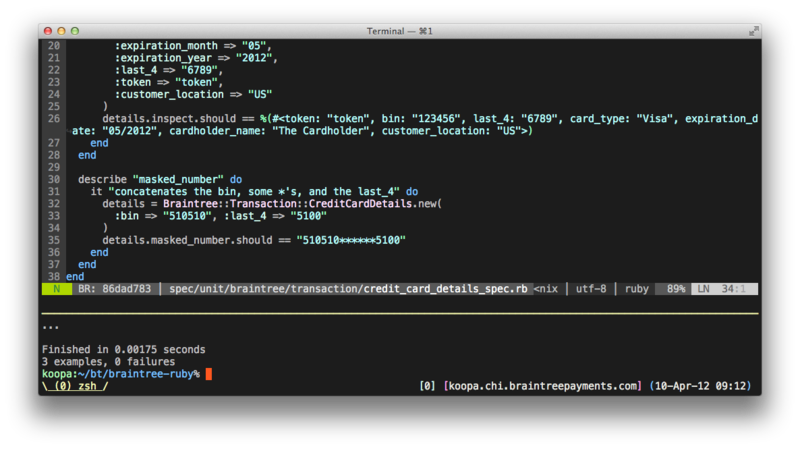 Check out Ben’s introductory blog post for background and how they’re using Vim and tmux at Braintree (which I highly recommend for payment processing by the way).